Melrose Park Condominiums is a housing complex consisting of approximately 117 one or two bedroom condos with the one bedroom units being approximately 662 square feet and the two bedroom units are approximately 924 square feet. The homes were constructed in 1978. Melrose Park condominiums are conveniently located in West Ashley just off of Savannah Highway about one mile south of its intersection with I-526 and are approximately fifteen minutes from Charleston’s medical complexes or downtown Charleston. Melrose Park has a member’s clubhouse, community pool, tennis court, and laundry facilities. The regime fees are $212 per month and cover exterior maintenance, exterior insurance, termite bond, recreation facilities, lawn maintenance, water and sewer. Indigo Park is Kiawah Island’s newest neighborhood designed and built utilizing the green concept. 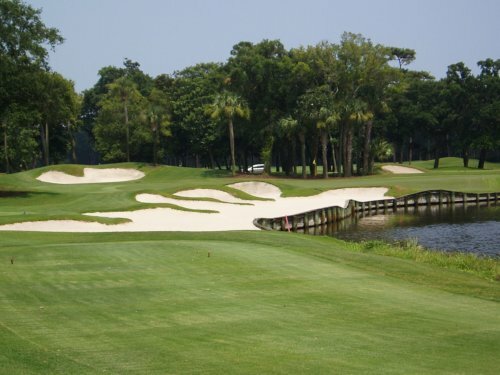 Indigo Park is centrally located on Kiawah Island just behind the Vanderhorst Plantation gate and is opposite the entrance to the River Course, Kiawah Island’s only private golf course. Indigo Park is situated just a few minutes from The Sanctuary, Kiawah Island’s five star hotel, and Night Heron Park, where many resort activities take place. The Indigo Park neighborhood was the site of HGTV’s 2013 Dream Home. It has 16 home sites to build your dream home nestled in Kiawah Island’s natural habitat. Each home in Indigo Park is to be LEED certified and constructed with the best earth friendly sustainable materials. Each of the 16 environmentally friendly homes will be within a short walk of the three acre community park inside Indigo Park. Time after time, visitors come to Edisto Island and wonder what it would be like to actually live in South Carolina's best kept secret. Not many people get the chance to call Edisto Island or the town of Edisto Beach home. Just less than 3,000 people live on the island. Some are retirees, some are families who run some of the local businesses, and some are descendants of the island's first residents. Some live in beach cottages or simple places tucked away in the maritime forest; others live in gated communities or right off the one road that takes visitors and residents to and from the island. No matter where one lives on Edisto Island, it's never too far from all the island has to offer. Any coastal town is almost surely to attract people who love the ocean. Whether it's boating, fishing, crabbing, swimming, or merely walking in the surf, Edisto's climate allows for almost year-round fun on the water. There's nothing quite like coming home after a long day at work and going for a walk on the beach or relaxing out on the water. Edisto is an outdoorsy place that features walking trails in the forest, a bike path, driving range, golf course, and several areas for fishing, bird watching, and hunting. While island life tends to be carried out with a slow and leisurely pace, it's not for those who are into the hustle and bustle of city life. To begin with, there is no hustle and bustle on Edisto. After all, there are no night clubs, no movie theaters, no bowling alleys – there isn't even a stop light anywhere on the island. There's a grocery store, hardware store, general store, two service stations, handful of gift shops and galleries, restaurants, a video rental/ice cream store, two libraries, several churches, a museum, and a state park. There is a strong sense of community on Edisto, which can be seen in the number of organizations that exist for those interested in the arts, caring for the environment, and giving back to the community. Like any small town, Edisto locals are close-knit and tend to care for each other. This includes the youngest residents. While much of the population is beyond school age, there are several children that call Edisto home. These children attend school at what is locally known as "The Beach School," which is the elementary school that is a part of the Colleton County school district or Jane Edwards Elementary School, which is a part of the Charleston County School District. Students in grades eight and up are bussed to school in Walterboro or are driven privately to schools in Charleston. Sometimes the seclusion offered by Edisto can be somewhat of an inconvenience, although often times it is the seclusion that makes Edisto so appealing. After all, it's just a 45-minute drive from Charleston and a 90-minute drive to Savannah, Georgia. This provides residents and visitors with the benefits of living a simple life by the beach and proximity to all that a city like Charleston has to offer. To really know what it is like to live on Edisto Island is to actually experience it. Once that happens, you'll know what it's like to live on the best place on Earth. For a complete vacation guide and information about Edisto Island visit www.edistoisland.com. Are You Thinking of Living in Kiawah, SC? A conversation with “Carolina Joe” Idleman, Realtor with AgentOwned Realty Charleston Group, Charleston South Carolina. 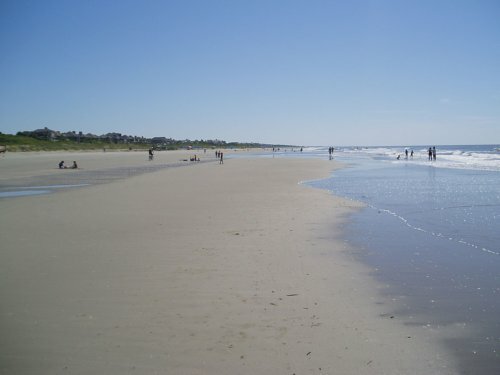 Kiawah Island is a barrier island along the southern Atlantic coast with ten miles of a wide, flat, sandy beach. With an average of 207 sunny days, Kiawah Island has a semitropical climate in which the average January temperature is 48 degrees and the average July temperature is 88 degrees. This island encompasses 10,000 acres, including nearly 45 miles of waterfront highlands overlooking lagoons, marshes, ponds, tidal creeks, the Kiawah River, and the Atlantic Ocean. The centuries old maritime forest throughout Kiawah Island consists of pines, palms, magnolias, and ancient live oaks. 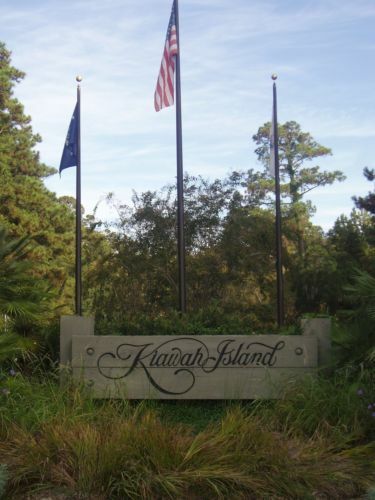 The town of Kiawah Island was incorporated in 1989 and currently has approximately 1,129 full time residents. The median age is 65 and nearly 75% of the property owners have a college degree. The overwhelming majority of the homes on Kiawah Island are second homes. Kiawah Island has held true to the developer’s award winning master plan, which is based on a commitment to the island’s natural beauty and wildlife. Kiawah Island has been thinking green from its inception and encourages all possible forms of recycling from its employees, residents, vendors, and home construction contractors. This extraordinary resort/residential community boasts five world class golf courses, a five star resort–The Sanctuary, excellent dining, and privately owned homes, cottages, and villas. The U.S. Open PGA Golf Tournament will be held at the Ocean Course on Kiawah Island in August 2012. Although Kiawah Island has the feel of a secluded tropical island, it is only 35 minutes from downtown Charleston, South Carolina, which is located in the heart of South Carolina’s lowcountry and has a population of approximately 250,000. Charleston was one of the largest and wealthiest cities in colonial America due to the agricultural production of rice, cotton, tobacco and indigo. Charleston, recently named #1 travel destination in Conde Nast Travel magazine, is famous for its historical attractions, arts and cultural events, and fine dining. Homes sales on Kiawah Island have begun to increase this year after three years of decline and the number of homes on the market has significantly decreased. While prices have continued to slowly decrease, it appears that that this price decline is stabilizing. With interest rates at historical lows, this is an excellent time to purchase your primary or vacation home on Kiawah Island. Visit Kiawah Island and you might make it your home–I did. The 20+ miles of bike paths, wide sandy beaches, natural environment, and fishing on the surf and tidal creeks lured me to this lovely southern island. Visit my websites to learn more about Kiawah Island, the process of buying a home, financing, and other helpful information about the Charleston, South Carolina area. Please feel free to contact me and I would be happy to assist you in your real estate needs on Kiawah Island or the Charleston area. The East Oak neighborhood is located in the heart of West Ashley, and is located along the western side of Magnolia Road. The East Oak Forest neighborhood is bounded on the north by Symmes Drive, on the east by Magnolia Road., to the south by Shelley Road, and to the west by Shelley Road and Browning Drive. The East Oak Forest neighborhood can be accessed from Magnolia Road. The East Oak Forest neighborhood has approximately 183 homes. Most of the homes are masonry or brick construction and situated on nice size lots with mature Live Oak trees. Home construction in the East Oak Forest neighborhood occurred from the late 1950’s through the 1960’s. There are approximately 183 homes in the East Oak neighborhood today. The home values range from $100,000 to nearly $175,000 and their size ranges from 1,000 to 2,000 square feet. During the past six months 3 homes have came on the market ranging form $110,000 to $165,000 and 3 homes have sold, or are under contract during the same period ranging from $95,000 to $176,000. You can view East Oak Forest neighborhood homes currently on the market, or view a map of West Ashley neighborhoods here. East Oak Forest is a nice neighborhood that is centrally located in downtown Charleston. East Oak Forest is a quiet neighborhood, yet it is just a few minutes away from the heart of Downtown Charleston, West Ashley Shopping, Wappoo Cut public boat ramp, local beaches, and much more. The West Ashley Greenway, which is a great place to bike, walk, or jog borders the northern edge of East Oak forest neighborhood. Your thoughts, questions, or comments are greatly appreciated. The Maryville neighborhood is located in the heart of West Ashley, and is dissected by both Magnolia Road and Saint Andrews Boulevard. Maryville is one of the oldest African American communities in the City of Charleston. Maryville is a neighborhood in transition with many recent newly constructed homes scattered within the neighborhood. The Maryville neighborhood is bounded on the north by 5th Avenue Maryville (north of Saint Andrews Boulevard), on the east by St. Andrews Blvd., the south by Symes Drive Ext., and to the west by Diana Street. The Maryville neighborhood can be accessed by Magnolia Road, Sycamore Avenue and Saint Andrews Boulevard. The Maryville neighborhood has approximately 415 homes. Most of the homes are wood construction and situated on small lots with mature Live Oak trees. Home construction in the Maryville neighborhood occurred mostly from the 1940’s through the 1950’s with another burst of new construction from 2004 to 2010.. There are approximately 415 homes in the Maryville neighborhood today. The home values range from $50,000 to nearly $200,000 and their size ranges from 700 to 1,200 square feet. During the past six months 1 home has come on the market for $119,900and 7 home have sold during the same period rangeing from $26,000 to $119,900. You can view Maryville neighborhood homes currently on the market, or view a map of West Ashley neighborhoods here. Maryville is a quiet neighborhood that is centrally located in downtown Charleston. Maryville is a quiet neighborhood, yet it is just a few minutes away from the heart of Downtown Charleston, West Ashley Shopping, Wappoo Cut public boat ramp, local beaches, and much more. The West Ashley Greenway, which is a great place to bike, walk, or jog, runs through the neighborhood. The Magnolia neighborhood is located in the heart of West Ashley, and is nestled between Savannah Highway and Saint Andrews Boulevard along Magnolia Road. The Magnolia neighborhood is bounded on the north by Anita Drive, on the east by St. Andrews Blvd., the south by Sycamore Avenue, and to the west by Magnolia Road. The Magnolia neighborhood can be accessed by Magnolia Road, Sycamore Avenue and Emily Drive. The Magnolia neighborhood has approximately 75 homes. Most of the homes are masonry or wood construction and situated on nice size lots with mature Live Oak trees. Home construction in the Magnolia neighborhood occurred mostly from the 1950’s through the 1970’s. There are approximately 75 homes in the Magnolia neighborhood today. The home values range from $75,000 to nearly $150,000 and their size ranges from 800 to 1,500 square feet. During the past six months no homes have came on the market and 1 home has sold during the same period for $115,000. You can view Magnolia neighborhood homes currently on the market, or view a map of West Ashley neighborhoods here. Magnolia is a nice neighborhood that is centrally located in downtown Charleston. Magnolia is a quiet neighborhood, yet it is just a few minutes away from the heart of Downtown Charleston, West Ashley Shopping, Wappoo Cut public boat ramp, local beaches, and much more. The West Ashley Greenway, which is a great place to bike, walk, or jog, is just across Savannah Highway. The Ashley Forest neighborhood is located in the heart of West Ashley, and is nestled between Savannah Highway and Saint Andrews Boulevard along Magnolia Road. Ashley Forest neighborhood is bounded on the north by Live Oak Avenue, on the east by Tall Oak Avenue, the south by Savannah Highway, and to the west by Magnolia Road. The Ashley Forest neighborhood can be accessed by Savannah Highway and Saint Andrews Boulevard. The Ashley Forest neighborhood has approximately 145 homes. Most of the homes are situated on nice size lots with mature Live Oak trees. Home construction in the Ashley Forest neighborhood occurred mostly in the 1940’s. There are approximately 145 homes in the Ashley Forest neighborhood today. The home values range from $175,000 to nearly $250,000 and their size ranges from 1,000 to 2,000 square feet. During the past six months 4 homes have came on the market ranging from $199,000 – $285,000 and 2 homes have sold during the same period for $162,500 and $232,321. You can view Ashley Forest neighborhood homes currently on the market, or view a map of West Ashley neighborhoods here. Ashley Forest is a very desirable neighborhood that is centrally located in downtown Charleston. Ashley Forest is a quiet neighborhood, yet it is just a few minutes away from the heart of Downtown Charleston, West Ashley Shopping, Wappoo Cut public boat ramp, local beaches, and much more. The West Ashley Greenway, which is a great place to bike, walk, or jog, is just across Savannah Highway. The Westwood neighborhood is located in the heart of West Ashley, and is nestled between Savannah Highway, Saint Andrews Boulevard with the Moreland neighborhood to the east and the Avondale neighborhood to the west. The Westwood neighborhood is bounded on the north by Saint Andrews Boulevard, on the east and west by Moore Drive, and to the south by Savannah Highway. Westwood neighborhood can be accessed by Moore Drive from both Savannah Highway and Saint Andrews Boulevard. The Westwood neighborhood has approximately 93 homes. The majority of the homes are traditional brick ranch and masonry construction homes. Most of the homes are situated on nice size lots with mature Live Oak trees. Home construction in Westwood neighborhood occurred mostly in the 1950’s. There are approximately 93 homes in the Westwood neighborhood today. The home values range from $100,000 to nearly $300,000 and their size ranges from 1,000 to 3,000 square feet. During the past six months 2 homes have came on the market ranging from $269,500 – $480,000 and 1 home has sold during the same period for $330,000. You can view Westwood homes currently on the market, or view a map of West Ashley neighborhoods here. Westwood is a very desirable neighborhood that is centrally located in downtown Charleston. Westwood is a quiet neighborhood, yet it is just a few minutes away from the heart of Downtown Charleston, West Ashley Shopping, Wappoo Cut public boat ramp, local beaches, and much more. The West Ashley Greenway, which is a great place to bike, walk, or jog, is just across Savannah Highway.